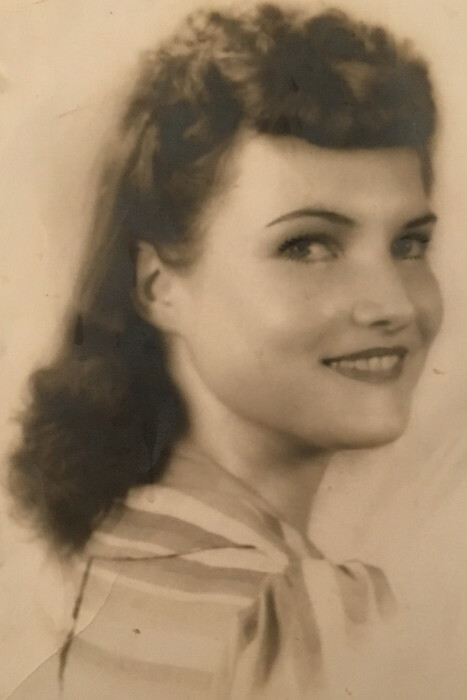 WOODRUFF- Lola Elizabeth Caldwell Cox, 93, of Woodruff, passed away Friday, June 29, 2018 at Spartanburg Regional Medical Center. A native of Greenville County, she was the daughter of the late John Lester and Donnie Lucille Garrett Caldwell and was the widow of James Paul Cox. She was a member of the First Baptist Church of Woodruff and was a homemaker. Mrs. Cox was a graduate of Parker High School in Greenville, enjoyed music, loved to sing and dance. She was an avid golfer and Atlanta Braves fan. Surviving are two daughters, Debra “Debbie” Cox Sloan (Howard) of Simpsonville and Jill Cox Parris (Mike) of Ashburn, Virginia; one sister Annie Joel Page of Austin, Texas; 6 grandchildren and 8 great-grandchildren. She was predeceased by a son, John Rex “Johnny” Cox and a sister, Billie Jean Blackstone. A Service of Remembrance will be held Tuesday, July 3, 2018 at 2:00 p.m. at Lanford-Gwinn Mortuary.